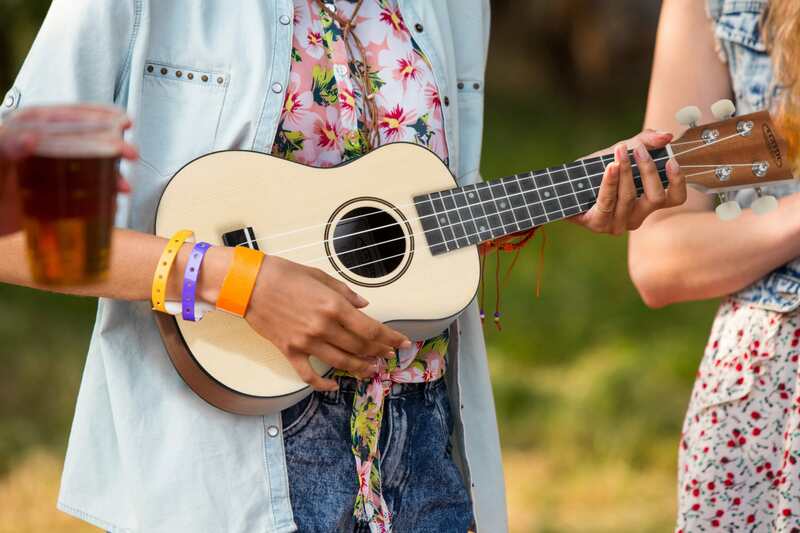 The Classic Cantabile Ukulele is crafted from select tonewoods and equipped with smooth mechanics and nylon strings. The compact size makes it perfect to use as a tool for traveling, as it can very easily be stowed in a backpack or gig bag optional. Originally brought by the Portuguese immigrants Joao Fernandes 1879 Braguinha, a local form the cavaquinho, from Madeira to Hawaii. 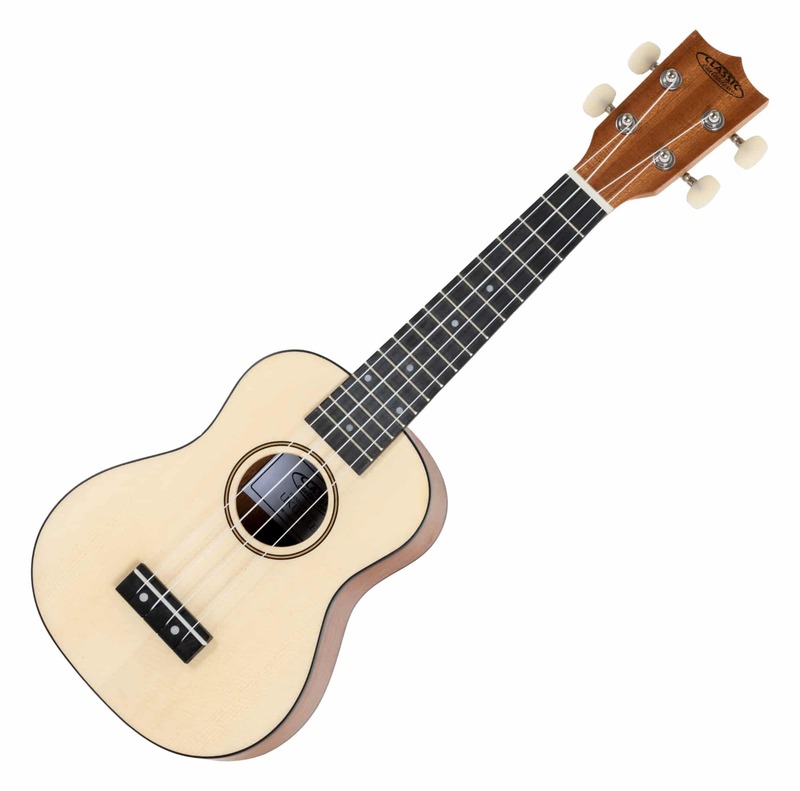 There it got the name "ukulele" ("jumping flea"), which should reflect the impact of the Hawaiians at the sight of the rapidly moving fingerboard on the instrument fretboard. From Hawaii, the ukulele came to America to Europe and was also well received in the music scene. 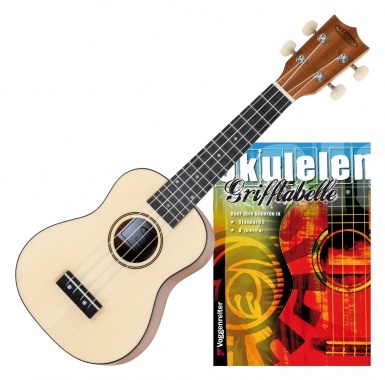 Ever since Stefan Raab and "TV Total", the ukulele became a real cult musical instrument in Germany also! 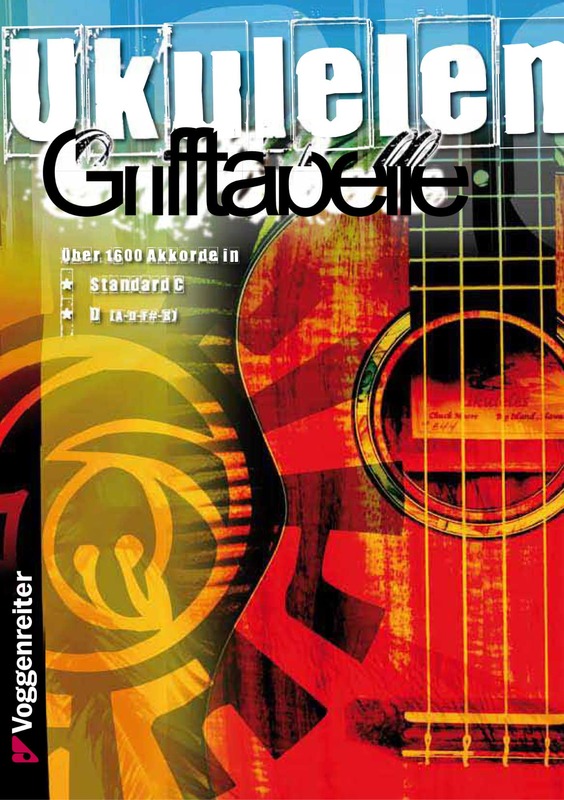 All chords are in clear, easily understandable and well-designed diagrams shown and sorted by root and by frets, so that the desired chord can be found quickly. 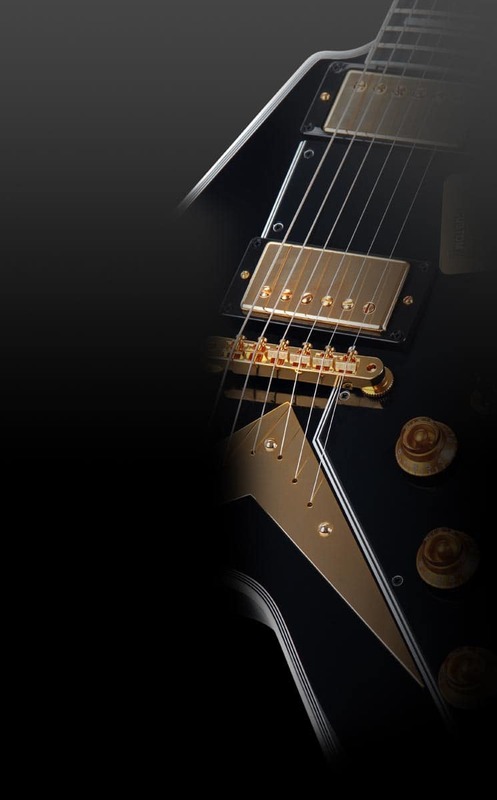 Different types of handles (voicings) for each chord allow the musician to select a suitable handle, depending on the musical situation.